I wanted to create today's card using up some scraps of patterned paper I had in my scrap box. 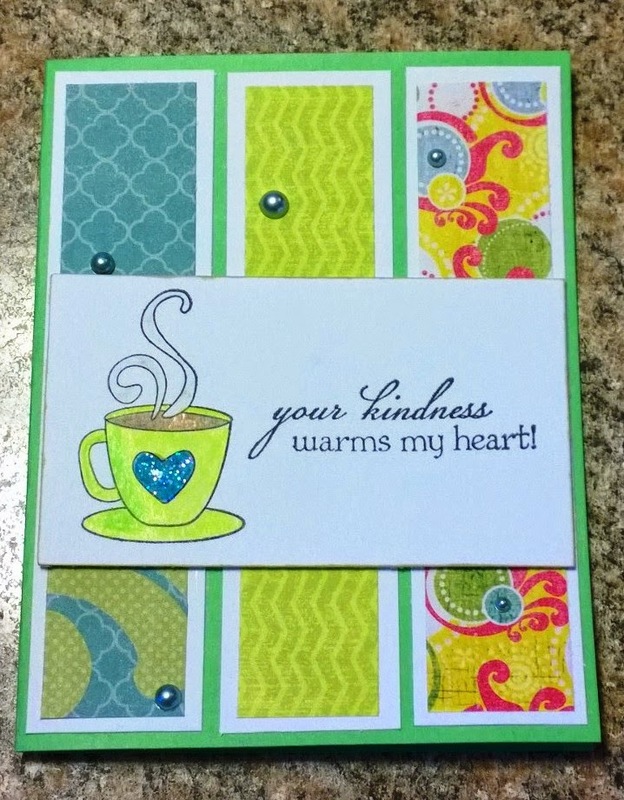 This card will be entered into the Spring Coffee Lovers Bloghop. These scraps are from a 6x6" designer paper pack I found at Walmart. (not heavy duty paper, but $3.00 for 100 sheets! Not kidding!) Thought these colors were very spring-like along with the chartreuse colored mug!